Revealing the most terrifying teapot in musical theatre! Will Aline consent? What will the vicar say? Who will make the tea? The show starts at 7:30pm each night. 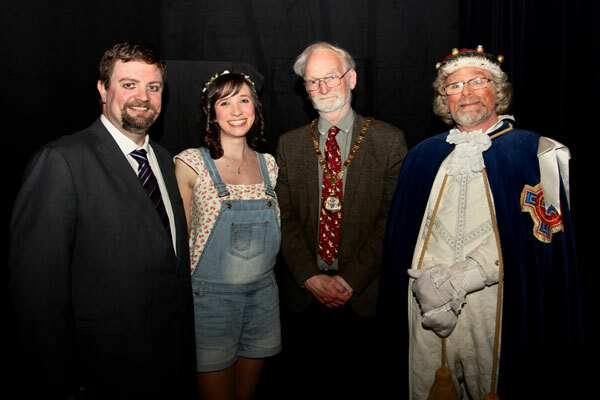 The Mayor of Milton Keynes, Councillor Martin Petchey, joined the cast of 'Iolanthe' at Stantonbury Theatre at the end of March. Staged by local group Wolverton Gilbert & Sullivan Society, the production, with its modern Gothic theme, proved very popular with audiences. Councillor Petchey met with some of the principals from the show: Graham Breeze (playing Strephon), Cat Lee (playing Phyllis), and Graham Mitchell (playing Earl Tolloller); off-stage Graham Breeze is the Director of the show and Graham Mitchell the acting Chair of the Society. The Mayor said: "I love Gilbert & Sullivan and Iolanthe is my favourite. 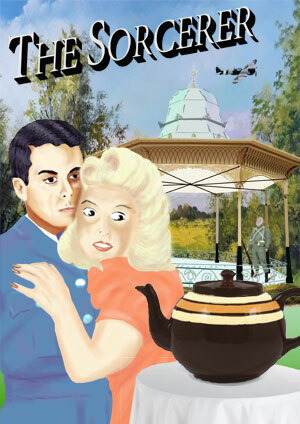 This was an excellent production from a local, well-established company. Wolverton G&S is a great example of our vibrant arts and music community here in Milton Keynes ". Wolverton Gilbert & Sullivan Society's next production is 'The Sorcerer' which takes place on Wednesday 17 July to Saturday 20 July 2019. Tickets are available now from Stantonbury Theatre box office or call the box office on 01908 324466, priced £17 for adults, £15 for full time students, unwaged and anyone aged 60 +, and £5 for children (under 14s). About Wolverton Gilbert and Sullivan Society. The company was formed in 1975 and its first production was HMS pinafore. Since then a G&S Operetta has been performed every year. We also perform summer shows and concerts and so have a very busy and active time each year. We are a friendly Society and welcome new members to perform on stage or to help backstage or front of house. Apart from our shows we also have a lively social calendar ending the season each year with a social event. Read all about us in our online magazine GanderS. This is one of the main parts of our site. In here we have gathered all the details of the shows we have performed. We have pictures from virtually every stage production and the cast details as well as information about the shows themselves. Some of the earlier shows are missing details such as the programme or just pictures of us performing. If you can help fill in the blanks then please do contact us and let us know.